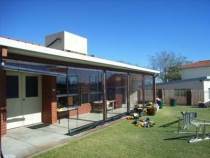 Cafe Blinds Perth - Classic Outdoor Blinds! The information below is for the classic style outdoor blind with zips, ropes and pulleys. Wow! Can’t believe how good they are. Thank you A&A. 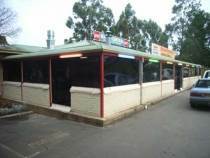 Great service, great product and sensational result. Some companies said it couldn’t be done! Not too hard. Plenty of spa time now, not to mention the rest of the patio. Couldn’t be happier. Finally after building a house someone who says they’ll get the job done as required and on time. Such a pleasure to deal with! Can’t believe how much were outside now, and loving it. One of the best things we’ve ever done. 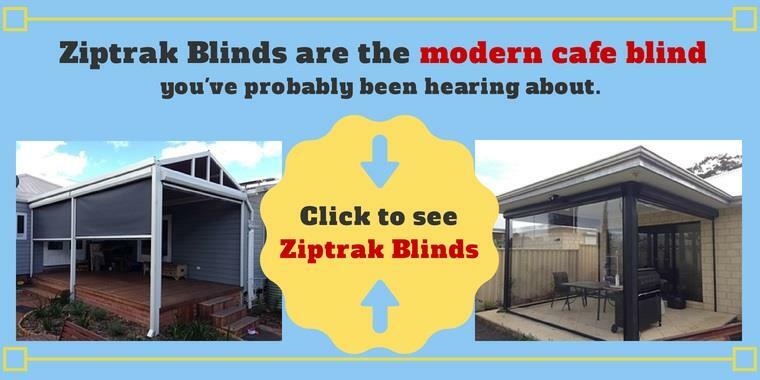 These outdoor blinds are well known in homes, cafés and restaurants around Perth & Fremantle, and have stood the test of time! 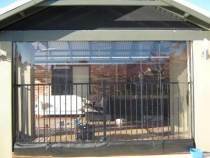 Like all our products, these too have a wide variety of applications, from providing shelter from strong winds and glaring sun to simply enclosing areas. Our conventional blinds are adaptable to virtually all situations, and offer the benefit of being able to be installed without extra framework or posts. 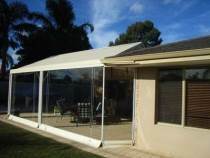 They come in a range of colours and can be made out of either conventional PVC or shade mesh. PVC can be clear or tinted in various hues. Shade mesh colours are shown below. All panels in our conventional (PVC) blinds are welded together using heavy-duty, marine grade PVC for endurance and aesthetics. We use only the best quality YKK zips and all are double stitched for extra strength. Our mesh blinds are all hemmed, using heat-welded mesh for added strength with no fraying: this is very important if you expect your shade mesh to have a long life whilst retaining its good looks. Make the Most of Your Outdoor Living Areas!